livinghistory.ie • View topic - The worst kind of ancient re-enactment! The worst kind of ancient re-enactment! This is just the kind of thing that brings our hobby into disrepute. Re: The worst kind of ancient re-enactment! As Professor John I.Q. Nerdelbaum Frink, Jr. might say "Hoyvin Glay'van!" absolutely correct they are a bunch of muppets lol . Now this is the kind of in depth research we need more of! Thou shalt not make a mockery of the porkly lady and her green froggy fella!!!!! 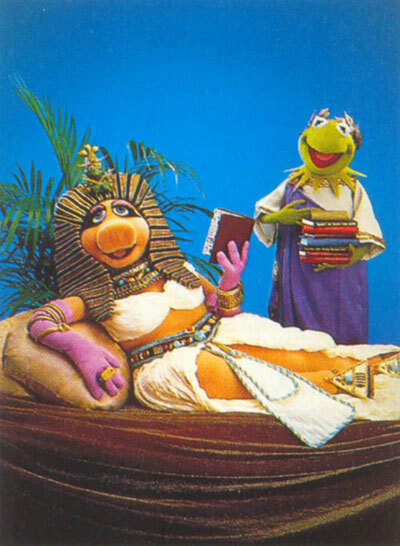 Has anyone else come to the conclusion that miss Piggy is hot? ?